No Fee Refinance. Is it for real? AÂ no fee refinanceÂ refers to a loan transaction where the lender or your broker bears all the charges such as settlement costs, underwriting fees, title or escrow fees, processing fees, loan origination points, appraisal etc. So the question is how do they do that? The truth aboutÂ this type ofÂ loan is that the lender bundles all of these closing cost in your loan amount. This increasesÂ your loan amount which ends up increasing your payments over the life of the loan. 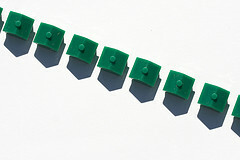 Lenders by law need to dislose this by presenting you with what is called and A.P.R. The A.P.R. reflects the interest rate plus all of the closing costs and thus allows you to do a head to head comparison of various loan solutions. For instance a loan having an interest rate of 6% without fees included could have an A.P.R. of 6.5% once fees are included. While you seemingly donâ€™t pay these expenses up front, you do end up paying it when you repay your loan. A no fee refi has one big benefit which is that you don’t have to come up with the closing costs and you could save a good amount by lowering your payments if you can get a lower interest rate. That being said, pay very close attention to the fees being charged. Just because they are being rolled into the loan does not mean they do not matter. Negotiate to lower these fees when possible and question excessive sums. Use the A.P.R. as a guide to how much you are paying in fees. The further it is from the quoted interest rate the more in fees you are paying.